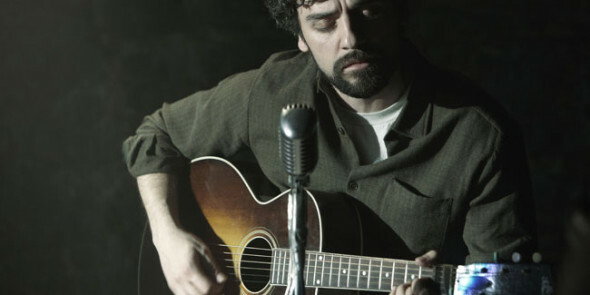 Out today on DVD and BluRay is the most overlooked film this awards season, Inside Llewyn Davis. Just another Coen Brothers’ masterpiece, the film follows a phenomenally flawed young artist struggling to stay true to his vision and get a break in the Sixties Greenwich Village folk scene. Immersive, funny, expertly crafted and brilliantly acted – particularly by Oscar Isaac in the title role – the film ranks among the very best of 2013. Perhaps more impressively, it also ranks among the very best of the brothers’ careers. A hot mess of a film that’s still weirdly fascinating, especially for Bob Dylan fans, is the artist’s own meandering fantasy Masked and Anonymous. Dylan co-writes and stars (that second bit is a little more of a sketchy decision), and he’s joined by an enviable cast: John Goodman, Jessica Lange, Jeff Bridges, Penelope Cruz, Bruce Dern, Ed Harris, Angela Bassett and scores of others. Together they piece together themes and characters from Dylan’s countless lyrical tales, creating a nearly coherent storyline about nasty music promoters looking to score a “benefit concert” with the help of a living legend. More beautiful mess than masterpiece, the film is still compelling viewing for Dylan fans. ← Outtakes: “Our Son Turns 21” Movie Marathon!